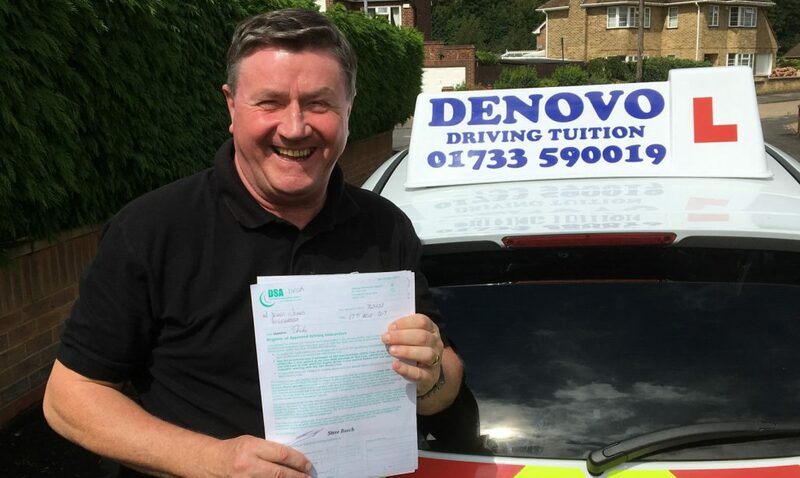 John Penny introduces Driving Instructor Training at Denovo Driving Tuition Peterborough. Please follow this link to view this video with a transcript. Here are some comments from recent trainees. In all my (far too many) years of dealing with professionals from all walks of life, rarely have I come across someone as genuinely enthusiastic and professional as John Penny. I was an advanced driver when I started my instructor training and, thanks to him, my driving has gone to the ‘higher level of competence’ required for the PDI role. John is generous with both his time and his knowledge and his willingness to pass on his many years’ of experience is truly humbling. Good teaching? Value for money? Great support both in and out of the car? All boxes ticked and I am looking forward, not only to passing my part three test of instruction but also to joining the Denovo team. If I can meet the standards he and his colleagues set then I will be highly delighted. Thank you.